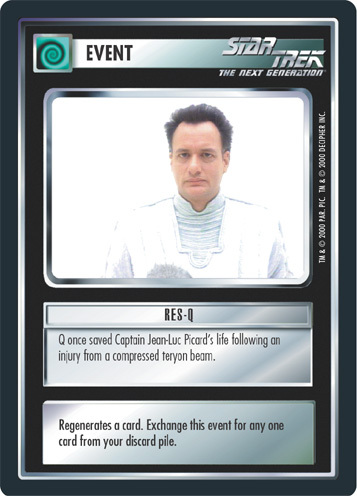 Q once saved Captain Jean-Luc Picard's life following an injury from a compressed teryon beam. Regenerates a card. Exchange this event for any one card from your discard pile. Image Source: The Next Generation: "Tapestry"